Telica, einer der aktivsten Vulkane in Nicaragua, ist eine Gruppe von überlappenden Vulkankegel und-Krater auf eine breite Palette von NW. Die prominenteste Vent ist ein 700 m breit und 120 m Tiefe doppelte Krater auf dem Gipfel. Seine südlichen Gipfel Krater wurde die Quelle des Telica der Eruptionen. Die älteren Santa Clara Abgasventil SW Ende des Gebäudes brach im 16. Jahrhundert und ist nun mit Vegetation bedeckt. Ein weiterer Vent El Liston, sofort SE der Telica, ist eine andere vulkanische Gebäude mit mehreren geschachtelten Krater. Bei Hervideros de San Jacinto, SE der Telica befinden sich Fumarolen und Sieden Mudpots. Diese prominente geothermale Gebiet ist beliebt bei Touristen und die Seite des nahe gelegenen geothermische Exploration. The earthquake swarm still continues, accompanied by near continuous tremor, although at reduced intensity. The earthquake swarm continues with high amplitude but less frequent quakes. The earthquake swarm still continues and appears to show a slow trend towards increasing magnitude earthquakes including a magnitude 3 event two days ago. The earthquake swarm, presumably caused by a magmatic intrusion at shallow depth, still continues with hundreds of tiny quakes up to about magnitude 2 each day. There has not been any report from INETER yet. The seismic swarm continues with no changes. Hundreds of tiny quakes up to magnitudes around 2 have been occurring for the past days, but no reports have become available (so far). 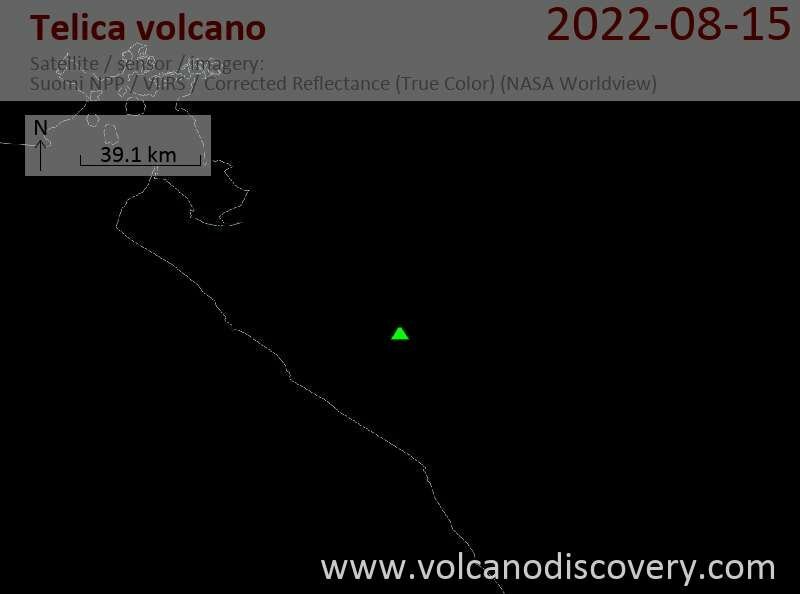 The seismic swarm at the volcano continues, with many small tremors registered beneath the eastern sector of the volcano. There has not been any apparent surface activity reported (so far). No updates about unusal activity have been posted by INETER, so it is likely that this is (so far) only an intrusion at some depth with no significant surface activity. The seismic swarm has intensified a bit. Some of the quakes are now listed by INETER on their earthquake list. The largest is apparently a magnitude 2 earthquake at 1.2 km depth a few km to the east of the summit. In contrast to Telica, the other 2 Nicaraguan volcanoes San Cristobal and Masaya continue to be quiet. An earthquake swarm has occurred last night at the volcano.